This horse has very personal connections for Derek Willis. Name after dear departed friend, he is a close relative of his champion Serious Attitude and Cape Factor, both of whom served him so well. A tall horse, he is by high class sprinter Bated Breath who has had success with his first two year olds in 2016. He has had 3 runs as a 2 year old colt so looking forward to his 3 year old career now as a gelding. Another particularly well bred filly purchased at the 2017 October sales. She is by Born To Sea, an Invincible Spirit half-brother to champion Sea The Stars out of a mare who has had six winners from seven runners. She comes from an excellent female family of Hooray (champion European 2-year old filly in 2010) and many other Cheveley Park Stud winners. She has taken some time but planning her first run in March. 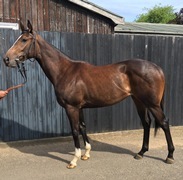 A lovely filly by Dewhurst and Derby winner Sir Percy who stands nearby at Kirsten Rausing’s Lanwades Stud, she is out of a full sister to the Listed winner Rambling Rose from the Notnowcato family synonymous with Southcourt Stud. Rae was delighted to buy her Enno Albert who has been patiently waiting for her first run. 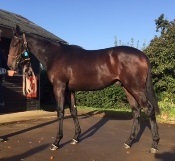 Another one by high class sprinter Bated Breath, from the good Juddmonte family of Group 3 winner Mirabilis. 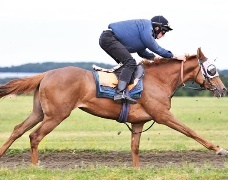 Colin Murfitt bought Ruffled at the 2013 December sales, Rae won with her before she was covered and now he has successfully trained her daughter. She now has a win and a second from just two runs. We are excited to see what else she achieves this year. Another by high class Derby winner Camelot, this good looking horse is the last foal of his dam Gaselee. She was a winner and Listed fourth for Rae and was from the good Niarchos family of Group 1 winners Hernando and Johann Quatz. Land of Winter had 3 runs as a two year old colt and has now been gelded. 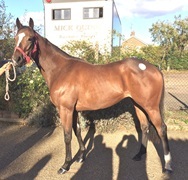 This attractive filly is by French sire sensation Siyouni (Pivotal), sire of Group 1 winners Ervedya and Laurens from the successful Rogers family of Irish 2,000 Guineas winner Bachelor Duke, she has a lovely pedigree. 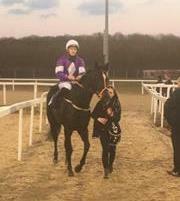 She won first time out and has had two more runs as a 2 year old. 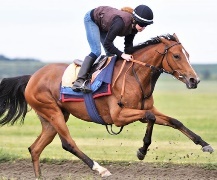 This filly is out of Salsa Brava, placed second in both the Lowther Stakes and Cherry Hinton Stakes at two, by Roderic O’Connor who was himself a Group 1 winner at 2 and won Irish 2,000 Guineas at 3 and by the all-conquering Galileo. She is home bred at Strawberry Fields Stud and yet to run. This attractive filly came into training late as a two year old, she is by Fast Company, a lightly raced top-class 2yo who is proving a good source of speed and is the sire of Group 1 classic winner Jet Setting. 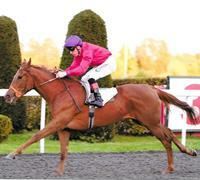 She is a half sister to Fanci That, trained here, she was a nice filly prevented by injury from showing her best.